Detailing the physical features, habits, territorial reach and other identifying qualities of the Forbes' Silk Moth. The nocturnal Forbes' Silk Moth is a rare sight to behold in part to its late-night activity, large wingspan, handsome pattern, and small range. Forbes' Silk Moth is a part of the Saturniidae family, home to some of the largest moths in North America. This species has a limited range, despite its grand size, and has only been seen in southern Texas and Mexico. 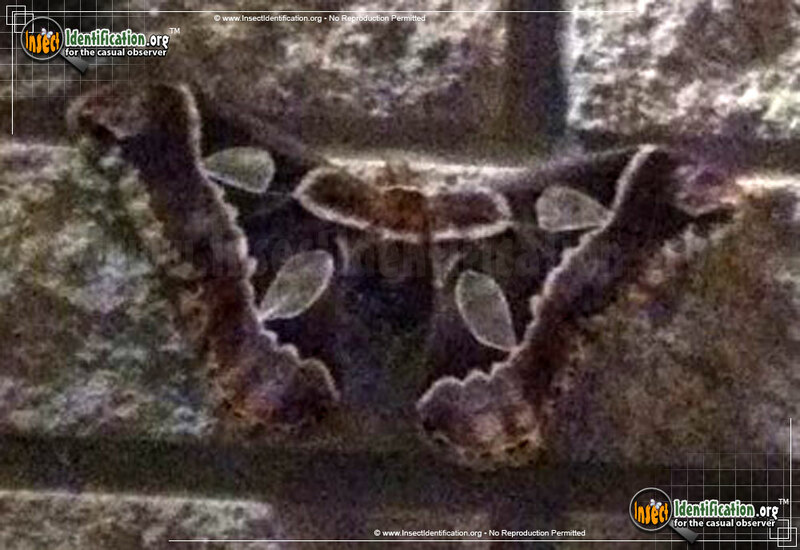 Its rounded wings have four large transparent spots on them, two on each side. For this reason, its Spanish name is Cuatro Espejos meaning "four mirrors". The dark brown interior of the wings is bordered with a light brown and edged with a creamy white rim. They rest with wings flat. Caterpillars are white, black, and yellow. White fleshy bodies have thick black bands studded with yellow bumps that are topped with spiky hairs. After feeding on leaves of ash and willow trees, they pupate and become winged adults. Two generations a year are produced with adults on-the-wing in early spring and again in mid-autumn.